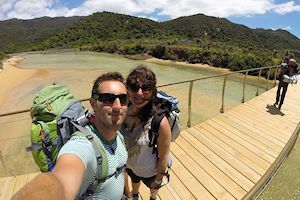 Matthieu and Marion: We chose New Zealand because it was the furthest country away with mountains, rivers and a new culture. Also, a little country was easier to discover than Australia for instance. Matthieu and Marion: We found someone very helpful and kind. How would you describe their services? Matthieu and Marion: Reactive, fast, very useful, the best choice we ever made! Matthieu and Marion: To advise us to join them! You took a 2-week English course, how was it? Matthieu and Marion: This couple of weeks was really interesting and helpful. It helped us improve our communication skills. You also took a 12-month bus pass, how was it? Matthieu and Marion: It was a really fun and good experience. No worry about where we can sleep or which activity to do or not do. 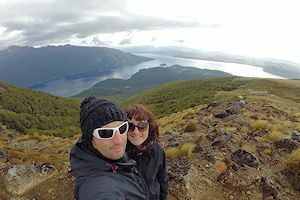 Matthieu and Marion: WWOOFing and also trekking everywhere in New Zealand. Matthieu and Marion: Climbing the summit of Mt Ngauruhoe! It was a 3 days hike under a pretty heavy rain. Matthieu and Marion: To use Working Holiday Starter, join and agency and enjoy! 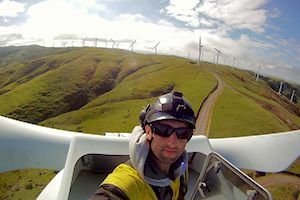 What do you take away from this experience in New Zealand? Matthieu and Marion: We learned a lot about sharing cultures, learning every day, never stop enjoying life, and live our dreams! What has been your favorite spot in New Zealand? 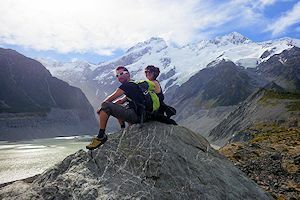 Matthieu and Marion: Milford Sound! Matthieu and Marion: Yes, without any hesitation. We actually already recommended it to a few friends of ours.